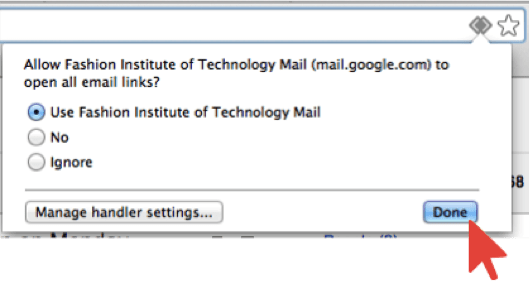 When you click on an email link on a web page or email message, your computer will open a new compose window with the email address populated in the To: line. The program used to compose the message is determined by the default mail client for your computer. 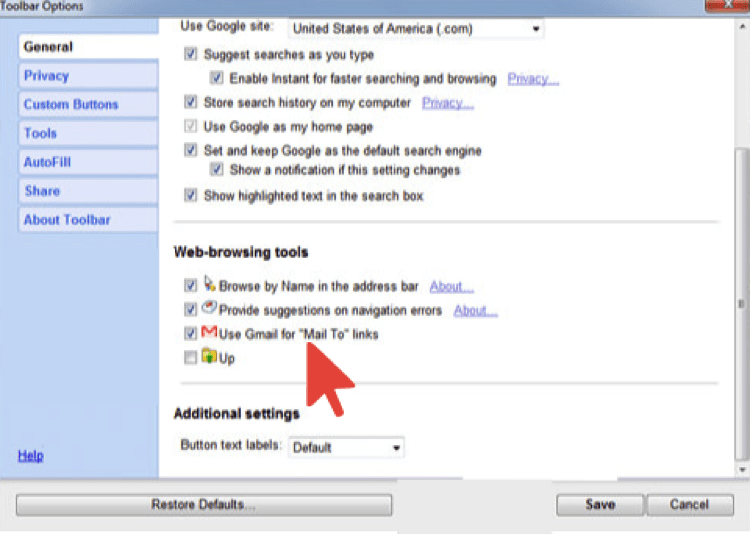 To make Gmail your default mail client, please follow these instructions. 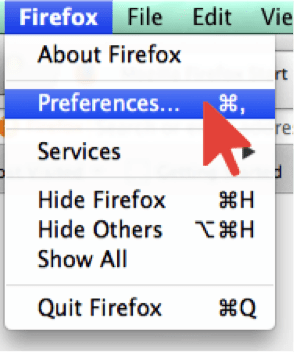 If you use more than one browser you will want to follow the instructions for each browser. 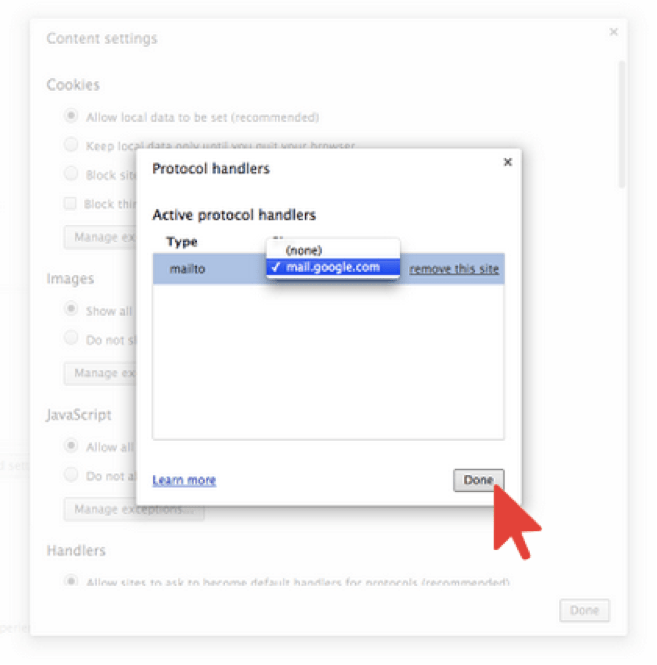 Open Gmail in Chrome and click the Protocol Handler icon in your browser’s address bar. If you don’t see this icon, skip ahead to option 2. 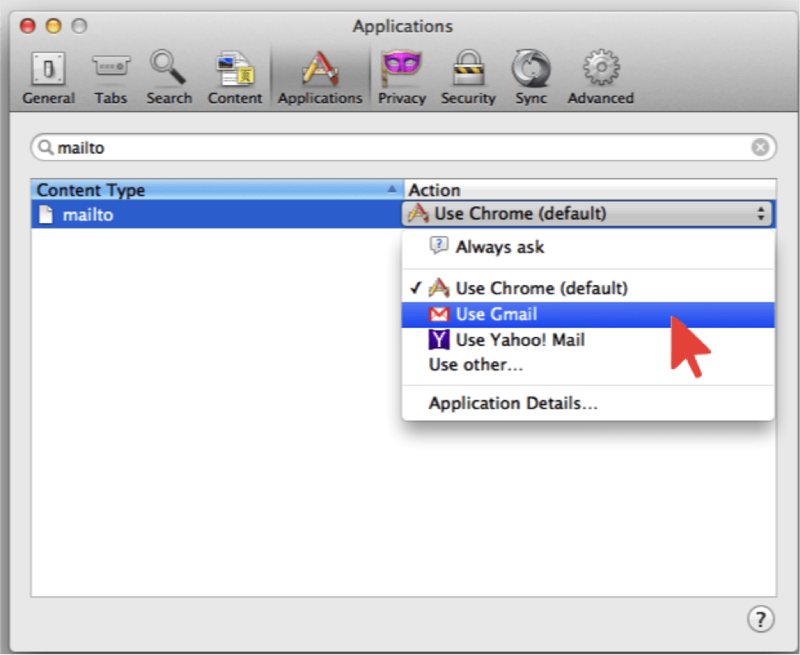 Open your Chrome browser, type chrome://settings/handlers in the address bar and hit Enter. Using the drop down tool under Site choose mail.google.com and click done. 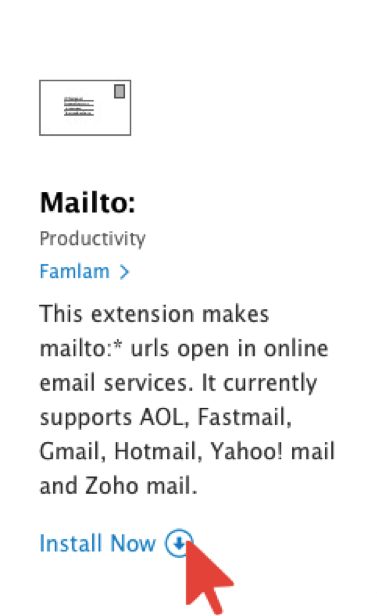 If you use Safari as your browser, then there’s an extension you can install to make your default mail handler google. You cannot use this process for FIT computers. Follow these instructions for your personal home computer – or use another browser. 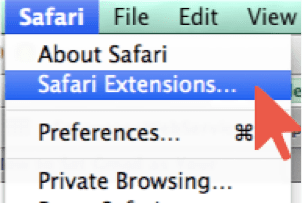 Recommended: Use another browser – These instructions will not work for FIT computers. Toolbars are blocked from FIT computers as they disrupt access and functionality in administrative programs such as Banner. For Internet Explorer users, you first need to download and install Google Toolbar for Internet Explorer to enable this feature.